Disney World Characters are just the best. 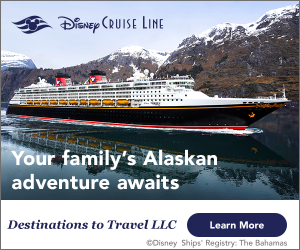 From Mickey Mouse to Elsa and Anna, everyone loves Disney Characters. This month we celebrate the best Disney has to offer; we celebrate those Disney Characters. We start off this month with articles about characters you can see and where you can find them. There is also information and tips that you need to know about dealing with characters. We even have a special section on meeting characters with special needs children. Our Best of WDW lineup is very special this month. 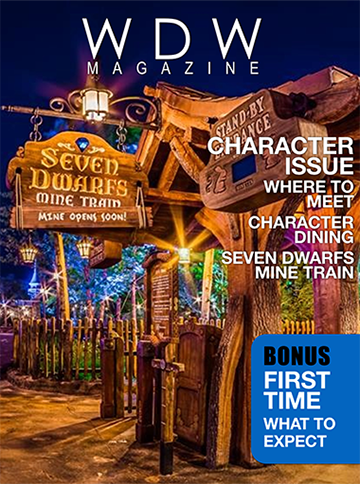 We start off with a look at the brand new 7 Dwarfs Mine Train. Then we look at the Hoop Dee Doo Revue, the Ft. Wilderness Campground and also the TrenD department store. It’s really a great lineup. The FanZone this month is bigger and better than ever. We got over 100 pictures in our Photo of the Month Contest. We’ve got a great What I Love Best article from one of the top Disney fans in the world. Finally, we asked you about your most memorable Character experience. Boy did we get some doozies! Finally in Around the World, we have a great challenge between the WDW Monorail and the Disneyland Monorail. It’s going to be epic.